Aquarite step-in tub with glass door is a beautifully designed tub for all ages. Our tub allows you to bathe and shower normally, but also adds very safe and easy access for all your family members. The attractive look and design make it the right choice for any bathroom. Beryl series bathtubs feature a three-cockpit cradle opening, rounded interior edges for safety and luxury, stylish design, and a standard corner installation. Coral Diamond 5 Ft. Left Drain Walk-In Whirlpool and Air Bathtub in White Coral collection features luxuriously designed corner bathtubs, with a traditional oval interior. moulded floor pattern prevents bathers from falling, while adding a piquant flavour to the bathtubs design. Lightweight construction makes installation quick and easy. Interior armrests provide luxury and comfort. 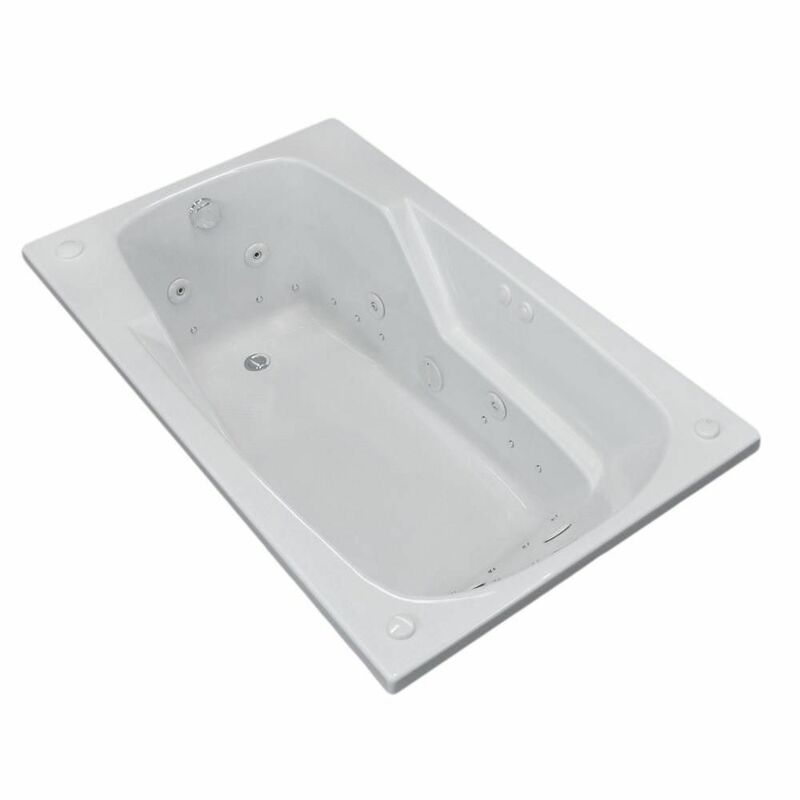 Coral Diamond 5 Ft. Left Drain Walk-In Whirlpool and Air Bathtub in White is rated 5.0 out of 5 by 1. Rated 5 out of 5 by kevin from great tub, half the cost for twice the value no reviews were out for this brand, so I will be the first. Excellent tub. Only problem if you buy diamond series do not build whole enclosure due to the fact pump stick out further that the lip of tub. Had to do some trimming to fit tub in but was easily trimmed after install. I would definitely recommend getting both air and water jets.